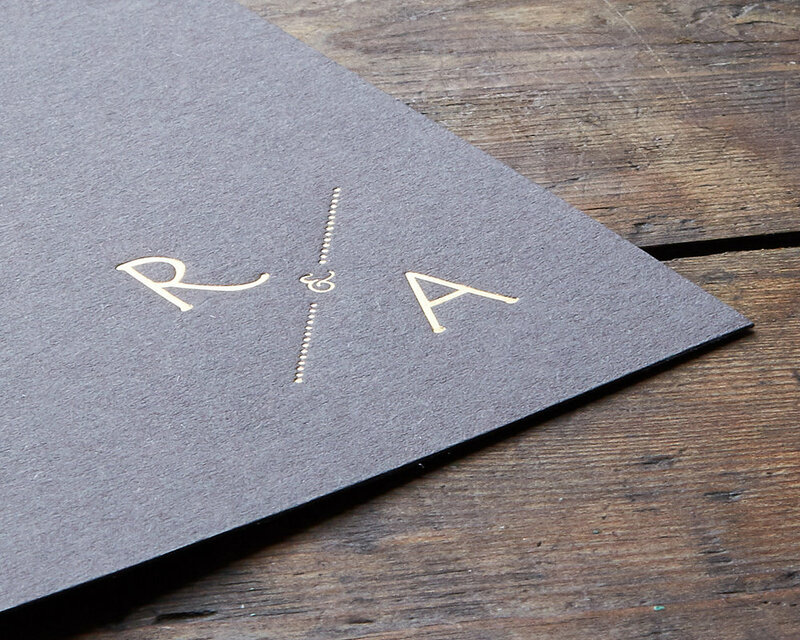 An elegant and unique design, there is a lot to love about the Monogram Pocket. 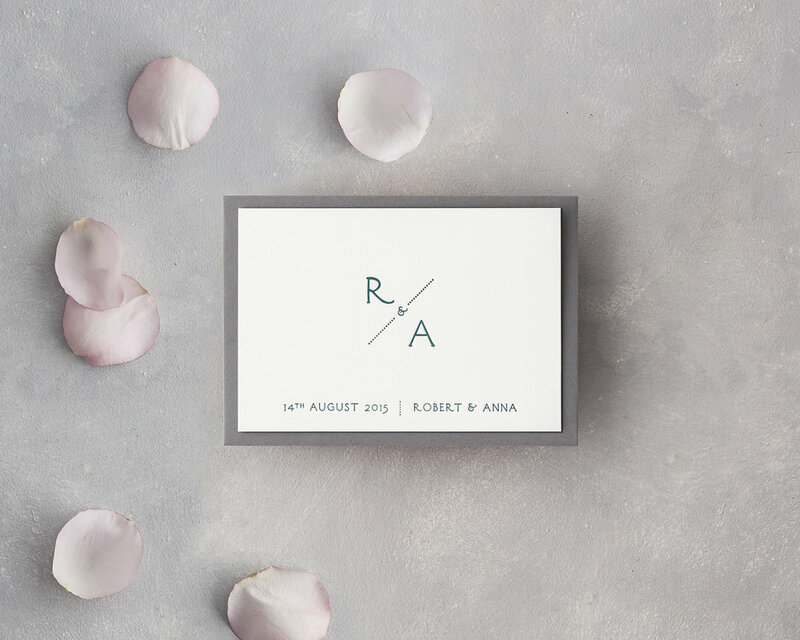 The bespoke personalised wedding monogram runs through all the wedding stationery & is beautifully displayed within the pocketfold Invitation set as part of the stacked card set. 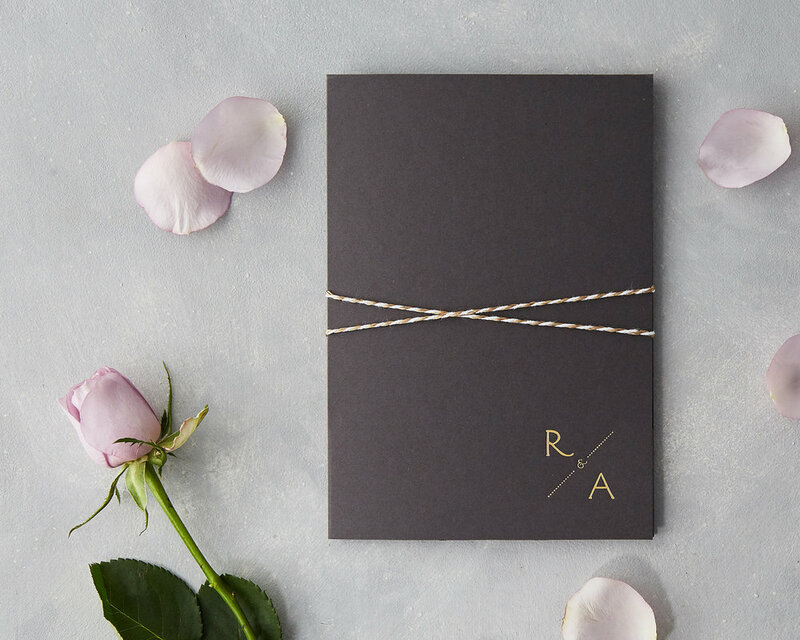 The pocketfold design enables you to include different cards for all the information you are sending your guests, beautifully packed as a single bundle. 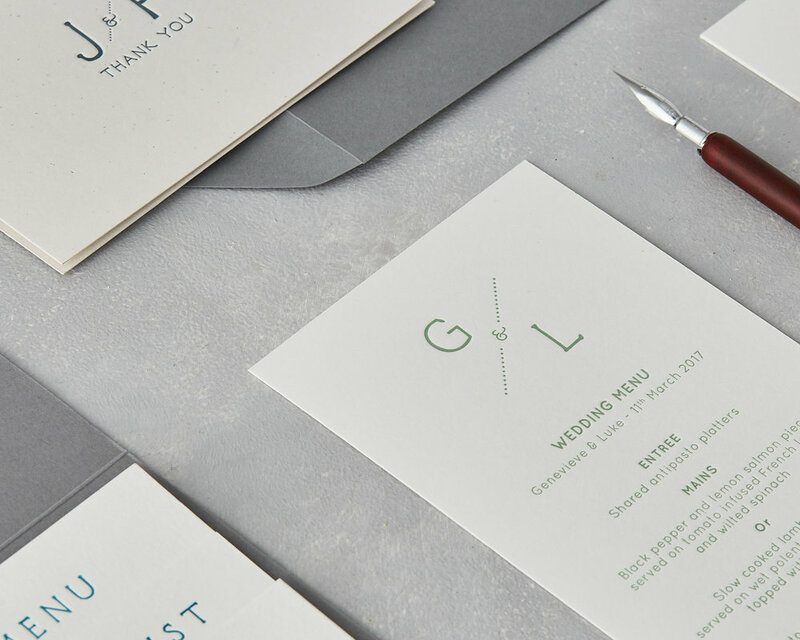 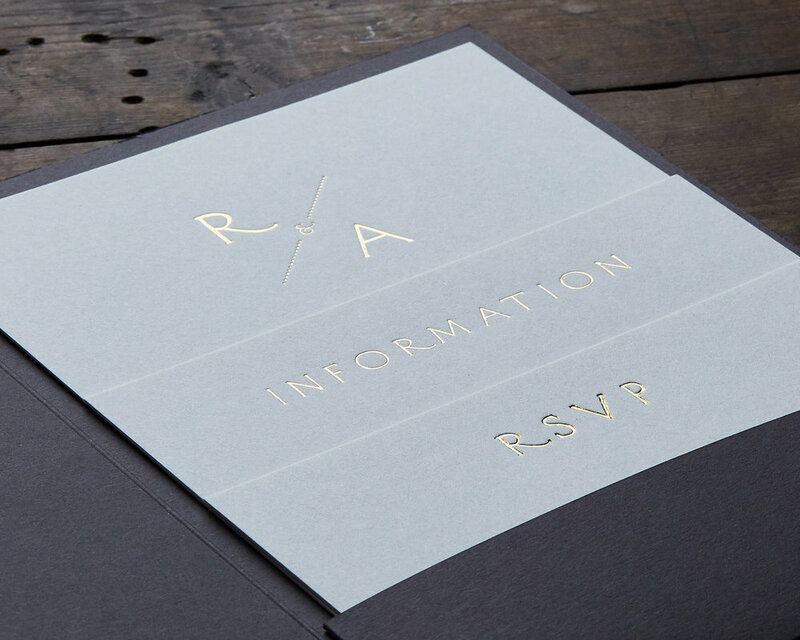 The Monogram on the pocketfold cover adds a stunning touch with the individual card headings revealed when you open up: Information cards, Maps, Menus, Timelines, RSVP cards can all be included if required. 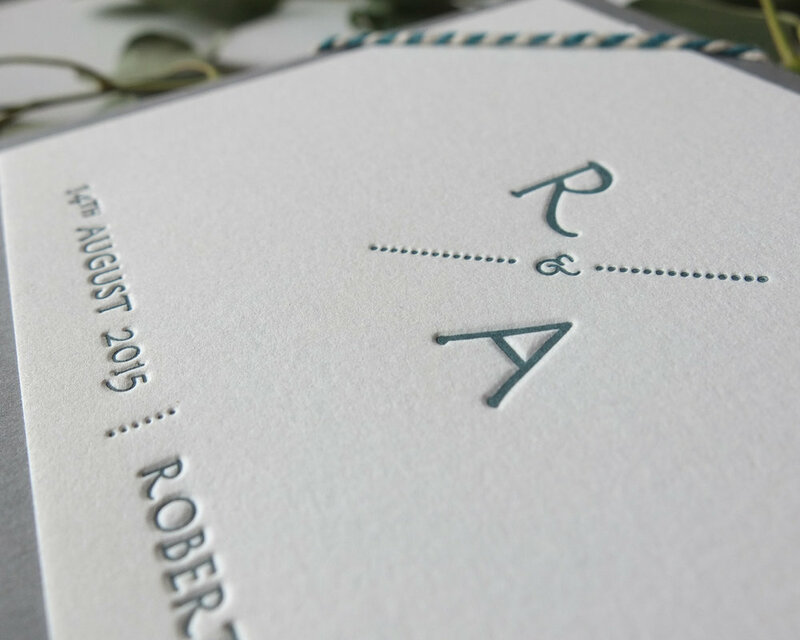 The design is shown with both letterpress & foil printing - we do love the effect of foil on a coloured pocketfold, it is very special. 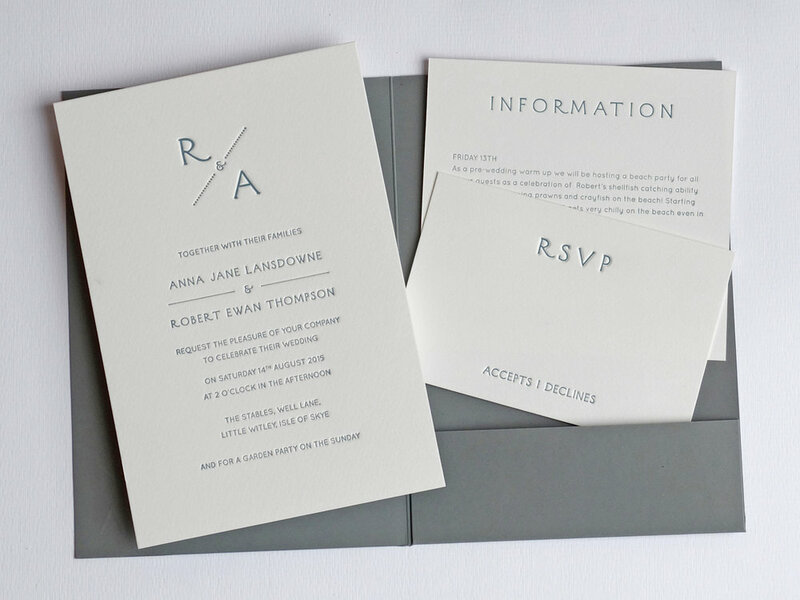 You can combine different print techniques within your invitations, no problem, just let us know your ideas.